Billings Farm & Museum is a popular destination in its own right, as well as a point of departure into the greater Vermont countryside. As the “Gateway to Vermont’s Rural Heritage,” Billings Farm prepares and orients visitors in their quest to discover both present-day and historical Vermont. A visit to our farm, a few quiet moments with our introductory film, A Place in the Land, a tour of our Farm Life Exhibits, and a visit to the 1890 Farm House will enlighten and inspire all who wish to experience this exceptional place we call Vermont. 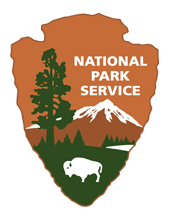 Marsh-Billings-Rockefeller National Historical Park is Vermont’s first National Park and only site in the national park system to focus on conservation history and the changing nature of land stewardship in America. The property was donated to the nation by Laurance and Mary Rockefeller in 1997 and features the boyhood home of conservationist George Perkins Marsh – which later served as the home of Frederick and Julia Billings and their children and grandchildren, including granddaughter Mary French Rockefeller. The Park is open to the public year round, featuring carriage roads and trails through the Mt. Tom forest, with guided tours of the mansion, gardens, and forest available from Memorial Day Weekend through October 31st. Across the river from the Billings Farm & Museum, you’ll find the Woodstock Inn & Resort, a year-round destination that embraces the vision of Laurance and Mary Rockefeller. Indulge in the relaxation and serenity of this charming Vermont village inn, stroll along our welcoming streets with their charming boutiques, and savor the ambience of Woodstock, Vermont.